It is like entering a posh hotel. Outside the lawns are immaculately groomed. The visitor is greeted with a heartfelt smile and a bow by the well-dressed guard. Inside the fully air-conditioned large lobby there are comfortable couches, a large screen television and a breathtaking interior. Large signs written in English tell you exactly where you can get the particular information you need. Smartly dressed attendants working round the clock make sure that not a speck of dirt appears inside the four walls. 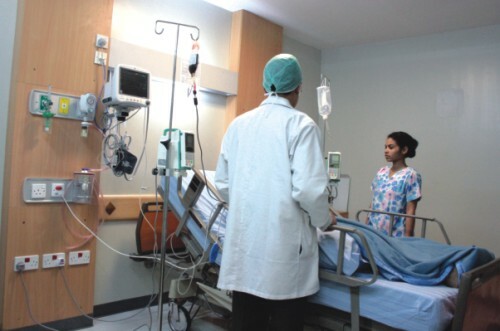 For a moment a visitor can forget that she is actually inside a hospital in Bangladesh. For a patient, if a part of the treatment is to feel that he is in a place where he will be taken care of, then these designer hospitals are doing a great job.